October 21, The Iran Project – Iran’s defense minister: Inaction on US lawlessness to create new Hitlers; Tehran denies reports of Ankara embassy evacuation over bomb plot notice – Iranian media; Japan’s new ambassador to Iran meets Iran FM; New ambassadors submit credentials to Iranian president; Iran’s Bavar-373 missile system has vertical launchers, commander confirms; 14 Iranian forces abducted by terrorists in eastern borders; Meeting of Leader with Iranian elites; ICJ announces time-limits for filing of Iran, US pleadings; Not up to Russia to persuade Iran to leave Syria: Putin; FATF suspends counter-measures against Iran for another 4 months; ASEM summit reaffirms support for JCPOA, lifting of sanctions against Iran; President Rouhani accepts resignation of two ministers and Iran, Syria hold business forum in Tehran are among major headlines dominated the country’s media outlets in the past week ( October 15– October 21). After receiving the tip, Turkish authorities evacuated the Iranian ambassador from the building before cordoning off the street where the embassy is located, it is said. Iran’s Ambassador to the UN Gholamali Khoshroo says that the United States is addicted to sanctions and seeing it as a tool in pursuance of its own national interests. 14 Iranian Basij forces were abducted by a terrorist group in Mirjaveh border, Sistan and Baluchistan province. Parliamentary delegations of Iran and Iraq met in Geneva on Tuesday, discussing ways to boost parliamentary ties. Supreme Leader of the Islamic Revolution Ayatollah Seyyed Ali Khamenei on Wednesday received elites and top students. Russian President Vladimir Putin has rejected US and Israeli calls for Moscow to persuade Iran to pull its military forces out of Syria, saying it is not what Russia can make a decision about. In a Thu. statement, Pakistan has voiced commitment to cooperation with Iran in retrieving the 12 Iranian border guards who were abducted and transferred to Pakistan by terrorists on Tuesday. Iran’s President Hassan Rouhani accepted the resignation of Minister of Road and Urban development Abbas Akhoundi and Minister of Industry, Mine and Trade Mohammad Shariatmadari. Having found Crown Prince Mohammed bin Salman’s antics too costly for its already stained reputation, Saudi Arabia’s ruling family is looking to replace the young prince with his less ambitious brother, Khalid, a new report suggests. Stressing the need for the formation of the Just Heavenly government, the secretary general of al-Nujaba Islamic Resistance stated, “If West considers following the Guardianship of the Islamic Jurist as dependence, the world should know that we are all dependent”. Ankara is seeking the extradition of 15 suspects and is worried they may be executed by Riyadh before being questionned, sources tell MEE. Iran’s senior officials remain generally upbeat about the country’s oil production outlook despite looming US sanctions which seek to drain a key source of revenues. Turkey’s top refiner, Tupras, is in talks with U.S. officials to obtain a waiver allowing it to keep buying Iranian oil after Washington reinstates sanctions on the Islamic Republic’s energy sector in November, industry sources said. 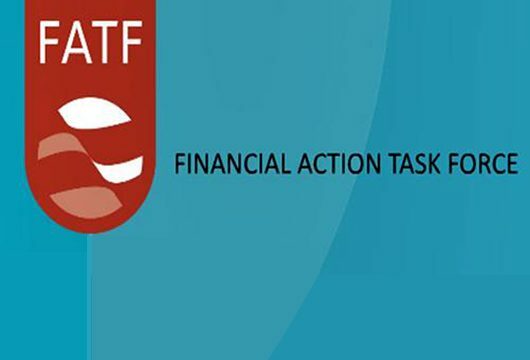 The Financial Action Task Force (FATF) said on Friday Iran had until February to complete reforms that would bring it into line with global norms or face consequences. The 10th World Mathematics Invitational (WMI) took place at Yonsei University in Incheon, South Korea Zahra Zavieh, a student at Urmia University northwest Iran, the provincial capital of west Azerbaijan, won a gold medal for Iran, in a competition that brought together the world’s best math students. Iran’s improvement in world innovation rankings by 67 in the last four years, has turned the country into the world’s fastest growing one in innovation, said Iranian Vice President for Scientific and Technological Affairs on Tuesday. Iranian woman referee Gelareh Nazemi sees herself like a pioneer.